Click the Calendar button in the Navigation bar (or press Ctrl+2). Select the Home tab and click the New Meeting button in the Ribbon (or press Ctrl+Shift+Q). The New Meeting form opens. Click the Scheduling Assistant button. The Attendee Availability page appears. If Outlook doesn’t connect to an Exchange server, you won’t see a Scheduling Assistant button. Instead, the button will say Scheduling. Click the Add Others button at the bottom of the form. The Select Attendees and Resources dialog box appears. Click the name of a person you want to invite to the meeting. The name you click is highlighted to show that you’ve selected it. Click either the Required or Optional button, depending on how important that person’s attendance is to the meeting. The name you select appears in either the Required or Optional box, depending on which button you click. Repeat Steps 5 and 6 until you’ve chosen everyone you want to add to the meeting. 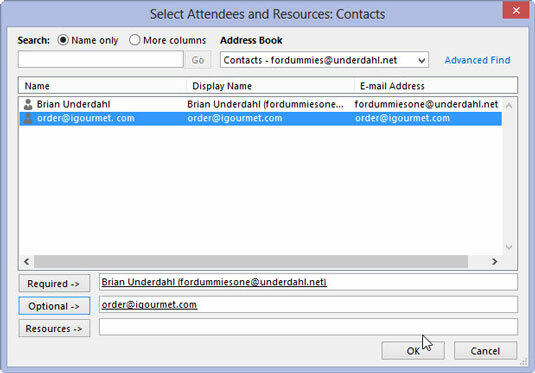 The names you choose appear in the Select Attendees and Resources dialog box. The Select Attendees and Resources dialog box closes, and the names you chose appear on the Attendee Availability page. 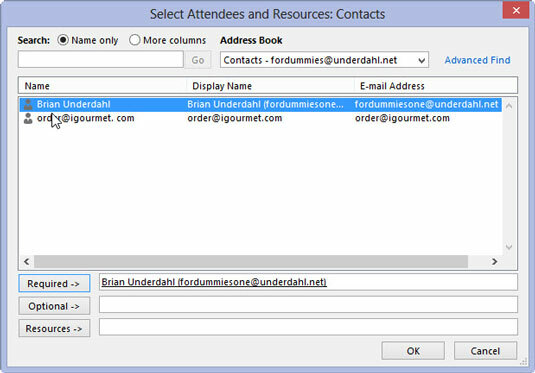 If Outlook connects with an Exchange server, the Attendee Availability page also diagrams each person’s schedule so that you can see when everyone has free time. Depending on how Outlook connects to the Exchange server, it might take a few moments for Outlook to get everyone’s schedule. If Outlook doesn’t connect with an Exchange server, Outlook says that it doesn’t have information about the attendees’ schedules. On the timeline at the top of the Attendee Availability page, click your preferred meeting time. The time you pick appears in the Start Time box at the bottom of the Attendee Availability page. If you want, you can enter the meeting start and end time in the boxes at the bottom of the Attendee Availability page instead of clicking the timeline. If you don’t see a time when everyone you’re inviting to your meeting is available, you can select a time that works for everyone from the list of available time slots in the Suggested Times window. The Appointment page appears, with the names of the people you invited in the To box at the top of the form. Type the subject of the meeting in the Subject box, and add details about where the meeting will be held in the Location box. The subject you enter appears in the Subject box, and the location appears in the Location box. 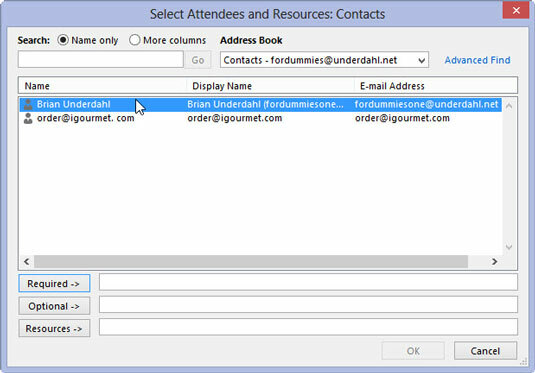 In the Message box, type information that you want attendees to know about your meeting and click Send. Your meeting request is sent to the people that you’ve invited, and the meeting is added to your calendar.